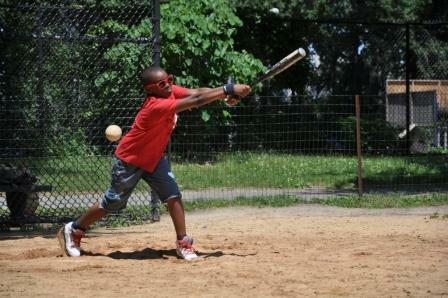 Blog Families picnic and play together, thanks to Credit Suisse! 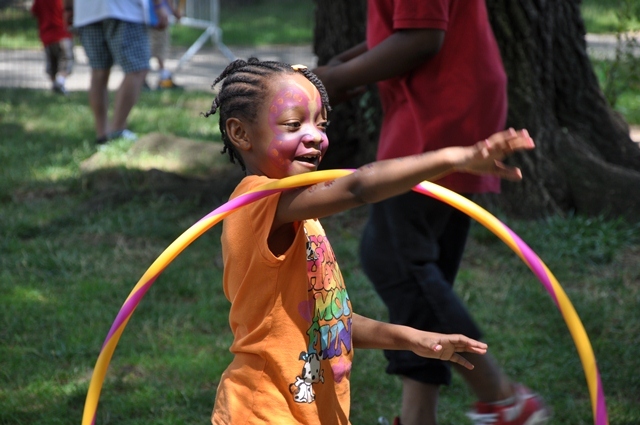 Families picnic and play together, thanks to Credit Suisse! 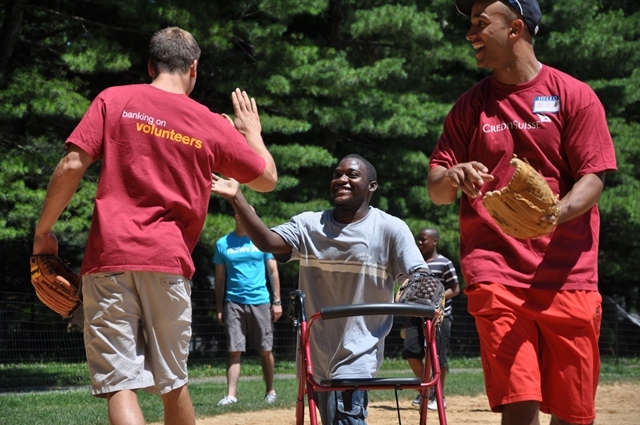 By painting faces, hula-hooping, teaching kids how to swing a bat, blowing bubbles, and much more, volunteers from Credit Suisse created a memorable day for our children and families at the 7th Annual Credit Suisse Softball Game & Picnic in Central Park on Saturday. Long-time volunteer Tony O’Callaghan, our Board member Lyle Monteserrato, and their enthusiastic colleagues, once again, provided a fun-packed afternoon for our families, who look forward to this event each year. The softball game was the highlight of the day as kids of all ages took turns at bat, on the pitcher’s mound, and in the outfield. 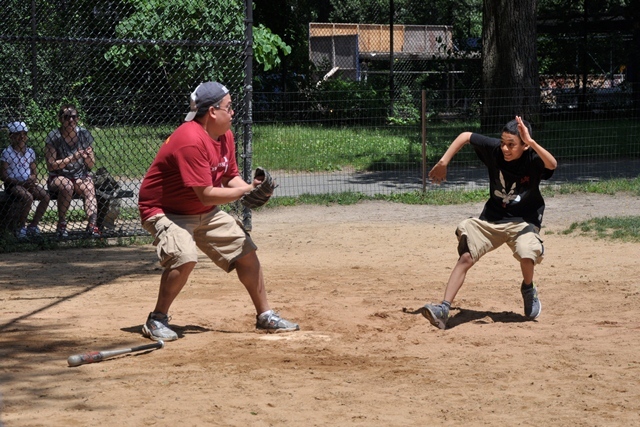 One Family Center teen surprised everyone by catching a tricky fly ball. Another tried over and over to make a hit without success, until all of a sudden, “Crack!” and his face lit up as he rounded first base. Over 80 attendees ended the day with wonderful memories and full bellies from a delicious picnic lunch. The Family Center remains thankful to all of the volunteers from Credit Suisse, whose big hearts and made a big impact on the lives of our children and families. If your company is interested in becoming a TFC corporate partner by hosting a volunteer event for our families, please contact Courtney Keen. Send her an email or call (212) 766-4522 x122.